Everyone visits Colorado in the winter. With dozens of mountain towns to choose from, ski season is a popular reason to head to the Centennial State. But why not skip the crowds and discover your new favorite Colorado mountain town during the summer? Colorado summers are beautiful – the days are warm and sunny, but the evenings are refreshingly cool. 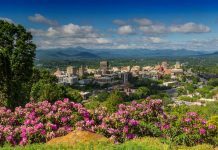 If you time your visit just right, you’ll find the mountainsides covered in wildflowers. Each Colorado mountain town offers a different summertime experience. 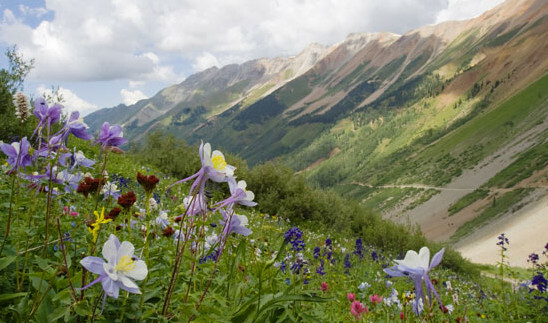 Some are known for their alpine flowers or relaxing hot springs, while others have unbeatable Colorado-style festivals. Not sure where to start? Here are our five favorite Colorado mountain towns to visit this summer. It’s unique combination of hippy flair and historic mining town charm makes Crested Butte one of our favorite Colorado mountain towns. Named as one of a “Dozen Distinctive Destinations” by the National Trust for Historic Preservation, Crested Butte is a Colorado town you won’t want to miss. 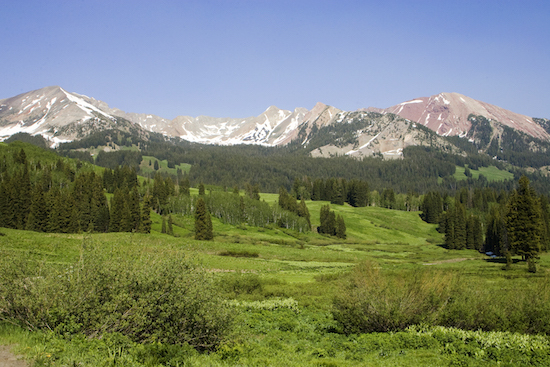 Though it’s a little bit off the beaten-path, Crested Butte is well worth the drive. The tiny town of 1,500 holds its own with beautiful vistas, abundant outdoor activities and tons of Old West history. Nestled at the base of the majestic Rocky Mountains, Crested Butte is well known for its skiing, but it’s also a top hiking destination. Stop by the visitor center for a trail map and go exploring, both by foot and mountain bike. You can also experience the magic of Taylor Canyon, a once-in-a-lifetime whitewater rafting adventure between Gunnison and Crested Butte. Perfect for every member of the family, this tour of the Taylor River will get your heart rate up while giving you an even closer glimpse into what makes this region so popular for Colorado natives.